Why Does it Take Longer to Cook a Turkey at a High Altitude? Roasted turkey cooks no slower at high altitude. 2 Does a Roaster Oven Cook Faster Than Your House Oven? 3 Does Cooking at a Low Temperature for a Longer Time Make Meat More Tender? Cooks and bakers who live at elevations of 3,000 feet and above have to make a number of adjustments in their recipes. There's less air pressure at higher altitudes, and this has broad-ranging effects on food preparation. In some cases, the chosen cooking method determines how much altitude will affect the result. 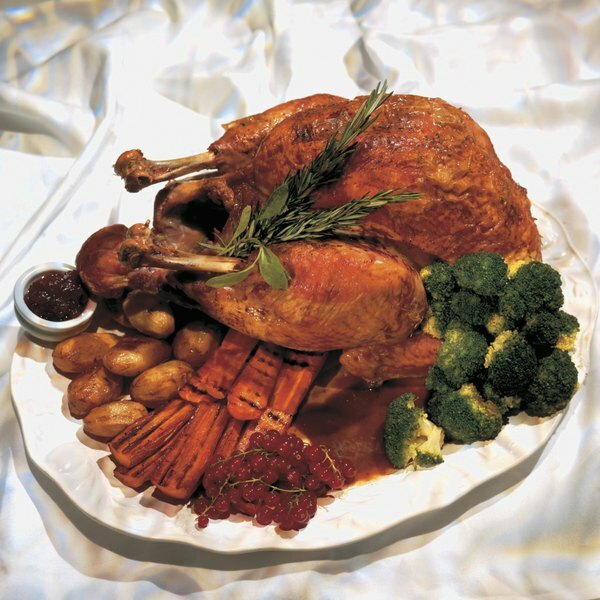 A traditional roasted turkey cooks approximately the same as at sea level, for example, but other cooking methods may take longer. The differences between cooking and baking at sea level and higher altitudes are caused by the change in atmospheric pressure. At sea level, the air exerts a force of 14.7 pounds per square inch, according to the U.S. Department of Agriculture's Food Safety and Information Service. At 5,000 feet, the atmospheric pressure drops to 12.3 pounds per square inch. That means water boils at a lower temperature, which affects cooking and baking in many ways. The air at high altitudes also is less humid, and can dry out foods as they cook. There is some question about the impact of altitude on roasting a turkey. 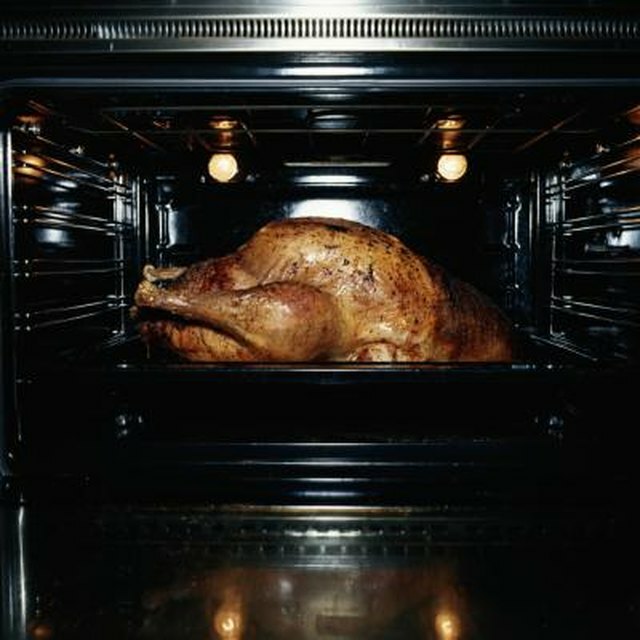 Colorado State University's extension service says that altitude should have no effect on cooking times for turkeys or large roasts. However, other sources recommend lowering oven temperature by five to 10 degrees Fahrenheit and cooking for up to 25 percent longer. There are plausible factors that might tend to increase cooking time. One is that high altitude air is less dense, and therefore doesn't conduct heat as well. A second is that the low boiling point of water causes more evaporation, and therefore more cooling, at the bird's surface. The only sure test for doneness is a reading of 165 F on a meat thermometer inserted into the thickest part of the turkey's thigh. If you find that your bird is underdone or too dry by the end of your expected cooking time, make a few adjustments. Reduce evaporation by basting the bird's skin with oil or melted butter. Use a turkey roasting bag, which will both shorten cooking time and retain moisture. You can also counter dryness and improve heat transfer by putting a pan of water or turkey broth in the bottom of the oven. Other cooking methods can be more affected by altitude. Grilling a whole turkey or turkey breast takes longer at altitude, because the grill's heat dissipates more quickly in the thin air. If you like to deep-fry your turkey, you'll need to reduce the heat by three degrees Fahrenheit for every 1,000 feet above sea level to keep it from getting too dark. The lower boiling temperature of water means that most recipes that stew or braise your turkey will take longer to cook.